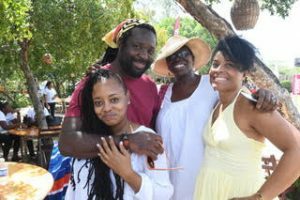 Stefanie Seddon visits the Calabash International Literary Festival 2018 in Treasure Beach, Jamaica. Kingston is a dizzying, clamorous, diesel-smoke punch in the face. Mazda pick-ups blaring dub-beats weave and honk down Marcus Garvey Drive. Container ships float like bloated whales in a shimmering white-capped harbour. The industrial backdrop is vast, but mountains rise around us, framing the city in every kind of green. I stick my head out the open window into a fly-away South West breeze. That’s where I’m going – South West – to remote and beautiful Treasure Beach in the parish of St Elizabeth, host to the 2018 Calabash International Literary Festival. It’s my second visit to Jamaica. As someone who’s spent most of my adult life in a head-down foot-first march through London brick and stone, the beauty of this island has me reeling. The landscape has the all-day lushness of a colourful sunset, the kind of richness that comes after rain, making everything seem twice what it was. You fall into its colours; tangerine, melon, swimming pool blue. A house in mustard so strong you can taste it. Corrugated iron and soil, both the red of dried blood. My first time here was pure good fortune. As a finalist in the 2016 Commonwealth Short Story Prize I received an invitation to read my entry on stage on the festival’s closing day. Two years on and I’m here by choice, drawn back to the breath-taking setting of Treasure Beach and Calabash’s astonishing line-up of internationally acclaimed writers. The festival’s catchphrase is chanted each year by the crowd: “The greatest little festival in the greatest little village in the greatest little parish in the greatest little island in the world.” One glance at this year’s programme and I’m nodding my head in agreement. The line-up boasts formidable voices from across the globe, many of them women. Malika Booker, Carol Ann Duffy and Warsan Shire join Safiya Sinclair, Safia Elhillo and Rivers Solomon. Acclaimed author of ‘House of Lords and Commons’ Ishion Hutchinson is here. So is the Nebraskan poetry editor of the New Yorker magazine Kevin Young, in conversation with Kwame Dawes in a segment tantalisingly called “poetry professors to feed the hungry ear.” Leading crime novelist Laura Lippman and creator of ‘The Wire’ David Simon, a real life literary marriage, bring their creative and personal partnership to the stage, and the legendary Linton Kwesi Johnson will pay tribute to Barbadian poet and literary icon Kamau Brathwaite’s seminal work ‘The Arrivants’. With such good reasons to be here, I shouldn’t need another. But something else has brought me, and it’s personal. My own writing journey was mapped at Calabash, two years ago. That heady weekend was punctuated with epic bursts of rain and it was under the enormous festival marquee that, drenched in the liquid sunshine of Jamaican storytelling and plastic cups of Red Stripe, I took a deep breath and decided to write a novel. Two years later, with draft two of my book weaving a path as winding and potholed as the road through the Santa Cruz mountains, I’ve come looking for the inspiration I need to finish it. I’m not entirely sure what that is, but since the theme of this year’s Calabash festival is Lit Up, “an acknowledgement of the power of the word to ignite passions and spur action,” I’d say I’m giving myself the best chance there is to find it. “You’ve got to small yourself up,” says Marva, squeezing past my knees. Marva is a beautifully-dressed older lady with twinkling eyes and an expression as steely as the grip of her hand on my arm. I small myself up as much as I can without tumbling backwards over a fold-up chair and we wriggle back into our seats. 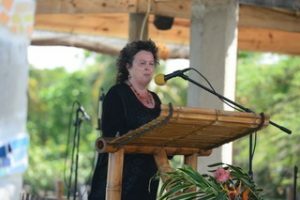 Carol Ann Duffy walks to the lectern, the first of four poet laureates from the UK, Jamaica, Canada and the US, brought together on a stage that seems to fall away into the sea. Shaded in thatch, its high corner columns wind with painted mosaics. Calabashes dangle from wide-stretched beams. The applause is loud, the waves are crashing and the wind gusts over the microphone, but when Duffy opens with Mrs Tiresias, a poem about a prophet transformed into a woman by a vengeful god, silence falls like a switched-off light. ‘What a wicked thing,” says Marva slowly, nodding her head with a tightly-held smile of approval. The power and wit of Duffy’s 1999 collection ‘The World’s Wife’, is perfectly pitched for this audience. Mrs Faust, retitled here by Duffy as ‘The Third Mrs Trump’ rhymes “chronic irritation” with “colonic irrigation”, while Mrs Darwin (7th April 1852/Went to the zoo/Said to him/Something about that chimpanzee reminds me of you) sings out as an anthem of a festival lit up by the insight and humour of women’s voices, both onstage and off. “I was educated in a convent school, as you can tell,” says Duffy to whoops of delight, a response as heartfelt as the respectful silence that greets her final poem, a tribute to the victims and families of Hillsborough. Festival co-founder, esteemed poet and peerless host Kwame Dawes is master of ceremonies, introducing each act with personal pride in his guest’s achievements. As well as the laureate quartet, the line-up includes Pulitzer, Forward, Pushcart and PEN prizewinners and recipients of Baftas, Emmys and MOBOs. I lose count of the fellowships, professorships and National Book Awards. Dawes knows his audience, and his audience knows he’s right. Sitting out to the side in a white plastic chair is Man Booker prize-winner Marlon James, here to listen, not to speak. Down the back is Kei Miller, poet, novelist, essayist and all-round giant of Caribbean literature, also here as part of the two to three thousand-strong crowd. A fat-leafed tree in yellow and green hangs by the stage almost as if it were listening. I ask Marva what it is. She purses her lips but before she can answer, US Pulitzer Poetry Prize-winner and Laureate Tracy K Smith takes the stage and sweeps us off to Texas. “Poems,” said Smith recently, “disorient us from our home base.” They teach us to “follow along, allowing sense to accrue at its own pace and upon its own terms.” As if on cue, I lose sight of the tree, lost in Smith’s ‘Hill Country’. It was a fitting preface for Ishion Hutchinson, who has written movingly of Walcott’s influence on his own poetry. Cool in a flowing green shirt, Hutchinson illuminated the stage with ‘The Garden’ and ‘After the Hurricane” and makes a searing tribute of his own, reading in the voice of dub reggae superstar Lee “Scratch” Perry. Next up was US actor and debut novelist Michael Imperioli, best known for his role as Christopher in acclaimed HBO gangster series The Sopranos. Imperioli read two passages from ‘The Perfume Burned His Eyes,’ a bildungsroman about a New York kid drawn into the mercurial world of rocker Lou Reed. His book is perceptive and vivid, and if it’s disorienting to watch one of my all-time favourite small-screen actors metamorphose into talented novelist, the attentive audience is a reminder that at Calabash, it’s only the story that matters. On the three hour journey from Kingston, my taxi driver, Dean, told me a story of his own. A former nightclub whose duppy – a ghost – would send late-night revellers fleeing out the door. I had to know more. What did it do? What sort of ghost would frighten a dancefloor of clubbers? He pointed out the passenger window as we wound down a sloping road. I looked out at a peeling white villa, its gaping black windows half-hidden by thick green trees. He watched my expression. The car sped up a little as we passed. Dean’s silence was the perfect closing note to his story, and even though I suspect he’s told it to every tourist slumped in the back of his cab, I won’t forget it any time soon. The first time I came down here, I was fresh from reading Marlon James’s ‘The Book of Night Women,” a brilliant, devastating account of an early 19th Century Jamaican sugar plantation. The women of James’s book stay with you; Lilith the green-eyed rebel, Homer the healer and destroyer. Like crops in the terra rossa – the rich red soil known locally as ‘the bread basket’ – their lives take root and can’t be washed away. They’re voices raised out of silence, women you hear and see. They’re the history we didn’t learn in school. Unlike Dean’s duppy, these women are fiction, a product of James’s pen, but his mastery of language and storytelling renders them life-sized. These stories spring to mind, as I’m listening to another. “I don’t want to tell the whole long story,” says poet and professor Kevin Young to Kwame Dawes, on two centre-stage easy chairs. “Why not?” says Dawes, appealing to the crowd for affirmation. He gets it. This audience knows the power of a well-told story better than anyone, and from the likes of Kevin Young, whose poetry weaves a tapestry of life, the longer the better. In a recent interview, Young said poetry “can take you to somewhere else — a culture far from you, a language far from you, but suddenly you’re there.” He reads a poem for his son, and there we all are, too. This is something I know from Calabash. Whether it comes from the mouth of a Booker winner, a taxi driver, or a Nebraskan Professor of poetry, the best-told stories are the ones you carry around. “There’s trouble in the tent tonight,” says Kwame Dawes. Outside the marquee it’s still and black but Calabash is just getting started. It’s time for ‘Big Woman Tings’, three women, says the programme, at the height of their greatness. Malika Booker, a British poet of Guyanese and Grenadian parentage closes with ‘Warning’ from her collection ‘Pepper Seed,’ and receives what I suspect will be the weekend’s largest collective nod of the head. told him, I cutting it off if you lose your mind. 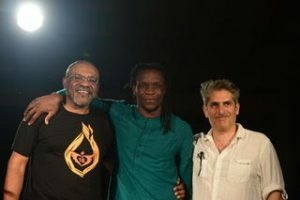 Booker’s poetry, like that of the US-based Liberian Patricia Jabbeh Wesley who follows, is both joyous and defiant, a description just as easily applied to the Calabash crowd. The relationship between stage and audience is fluid, like an animated two-way conversation. Respectful silence for the work is punctuated with murmurings of agreement, howls of laughter, spontaneous applause. There’s an understanding here that you don’t see in many other festival settings; an instinctive connection between the reader and her listener. People aren’t filming or flicking through their phones. They have their eyes fixed on the stage, their hands clasped to their chins, their chests, each other. Wesley talks of family and survival, of her father Moses in ‘her memorial poem Fire and Rain’, and of the mothers of black men murdered by US police. Later, we listen to the cool reggae tones of singer Lila Ike, her velvet voice unfurling through the crowd that gathers outside Jack Sprat’s wide verandah. Jack Sprat is the fast-beating heart of the festival, an open-decked bar adjoining the main marquee. Festooned with posters of Jamaican icons past and present, this weekend it serves as temporary home to the best and biggest Jamaican buffet around. Jerk pork, fried chicken, saltfish, plaintain – the queue at mealtimes snakes through the beachside field. At lunch, the sun is fierce. When they come, the clouds are murderous, threatening biblical downpours but blessing us instead with short-lived cool relief. Either way, Jack Sprat’s curried goat is worth the wait. Everything you need is here in this dusty field; fresh papaya, sweetcorn, pineapple, red stripe and rum. There’s gourmet coffee crafted by the specialist barristers at Deaf Can, a social enterprise for young people with hearing impairments, truckloads of rolling coconuts stacked in piles that vanish as quick as they’re stacked. Jack Sprat’s is also a place to meet old friends. I’m sipping a mango smoothie when I see Marva, yesterday’s neighbour, making straight for my bench. She has that look upon her face. I can see that she means business. It turns out, if you have a question about Jamaican trees, ask Marva. She clutches my arm and tells me she’s more than qualified. Marva remembered my question, did some research overnight and tracked me down in Jack Sprat’s to report her findings. She makes sure I write the answer in my notebook. It’s a Blue Mahoe. Jamaica’s national tree. She gives me the Latin names and checks to see I’ve spelt them right. 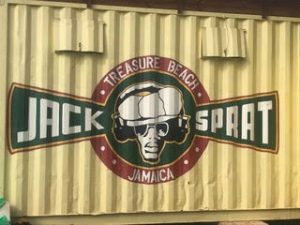 Where I am – the marquee, Jack Sprat – is all just a few slow steps from Jakes, the boutique hotel owned by the Henzell family that serves as the nerve centre for the Calabash community. Justine Henzell, daughter of the late writer and director Perry Henzell, is Calabash’s co-founder (with Dawes) and an unfailingly generous host to writers and festival-goers alike. Henzell has been running Calabash since its creation in 2001 and despite being lynchpin of the whole operation, she’s one of those people who instantly puts you at ease. Henzell believes strongly in mixing emerging talent with established writers, new voices with those writers of deep experience. 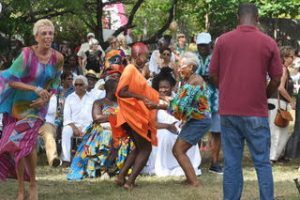 ‘The Calabash family’ is Henzell’s mantra; like the matriarch of a far-flung brood, she follows the careers of Calabash writers with obvious pride, and greets them like old friends when they return. For a writer still sweating it out on a debut novel, this ‘newcomers welcome’ approach feels like a long cool glass of water. Back in the marquee, the story of a marriage is unfolding on the stage. The back and forth banter of crime novelist Laura Lippman and her husband David Simon, creator of The Wire, is the live-act reality show of America’s most creative partnership. Lippman says her husband spends most of his time engaged in sweary fights on twitter. I follow him later, and see she speaks the truth. Simon uses words like ‘fuckmook’ and ‘shitmuzzle’ to bite back at trolls and he doesn’t disappoint here either. His energy is infectious, his creativity hurtling from The Wire – the origins of which involved spending a year embedded with the Baltimore homicide department – to a joint project with Lippman on a musical about Celtic punk legends the Pogues. This comes as a surprise, given Simon’s opening revelation that he had once been approached to do a remake of the late Perry Henzell’s classic Jamaican film, ‘The Harder they Come’ but turned it down, loathe to incur the wrath of a population fiercely proud and protective of the film’s deep-rooted legacy. The respect for one another’s work is striking. When Simon points out – admiringly – that all Lippman’s key characters, whether victim, perpetrator or suspects, are women, he neatly reads the sensibilities of his audience as much as his wife’s. “I’m not trying to mansplain,” he says, quickly, to wry smiles. Mid-way through the festival comes a feast of lyrical storytelling. Tayari Jones, bestselling Oprah Book Club author of ‘An American Marriage’ explores a disintegrating relationship through a series of devastating letters. It occurs to me that everyone in here must have read Jones’s book because they’re nodding their heads as if those letters had been written just to them. She’s followed by Kenyan Peter Kimani (‘Dance of the Jakaranda’), Rivers Solomon (‘The Kindness of Ghosts’), Hari Kunzru (‘White Tears’) and an electrifying trio of poets. 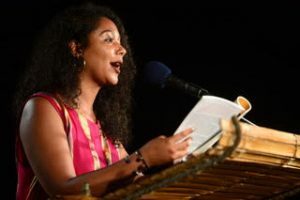 One of the night’s warmest welcomes is given to Jamaican Safiya Sinclair, who tells us that as a young writer she dreamed of reading her work on the Calabash stage. When Sinclair reveals that her father and brother have come to watch, I want to stand up and cheer. Then it’s the turn of Akala, hip hop artist and social entrepreneur, known for his blistering performances on BBC Radio 1 Xtra’s hip hop platform Fire in the Booth, his incisive social commentary, and for socking it to shouty Brexiteers on the BBC’s Question Time. He’s here for the international launch of his widely anticipated and sorely-needed book ‘Natives’ and when he speaks of the Windrush deportation horrors, the elderly Jamaican gentleman to my left hangs his head. “Shame,” he calls, softly at first, then louder, so all of us can hear. I’m sitting at an old wooden bench, in a stage-side terrace jutting over the sea which is rolling and vast. 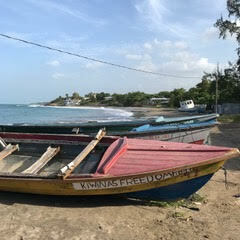 The waves crash on the beach to Brathwaite’s words. When Scott opens his mouth, the sounds of crickets and rustling leaves pour out. I am saturated in sound and it is mesmerising. His voice is rich with the swing of the game, and on this fiery Sunday morning it feels like it’s the Caribbean itself that this beachside congregation has gathered to worship. Stories in the TreesDown at the Sports Park, stories live high in the trees. Breds Treasure Beach Sports Park is just across the road from Jake’s, down a slow, dusty track that runs to a carpark shaded by wide-spreading branches. As Jamaica’s number one community-based sports project, Bred’s offers seventeen acres of tennis, basketball, cricket and track facilities to local and visitors alike. Serena and Venus Williams have been here. So has sprinter Yohan Blake and cricket star Chris Gayle, while Lennox Lewis holds boxing summer camps. The obstacle course is named for Colin Powell, whose parents lived just down the road. I go there with Dean, my taxi driver. Dean’s on a tight schedule to get me back to Kingston for my flight, but he conjures up a spare half hour when I ask to see the cricket ground. The sun bears down on the close-cropped grass, just nudging from green into brown. A grandstand in blue looks out on a full-sized wicket, the black and white scoreboard standing tall at the boundary line. Today, its columns are empty. There’s no one here but us and one tall workman, pondering a roller from the shade of a tree. These trees are lignum vitae, the ‘wood of life’. I know this kind of tree, because Marva has recently introduced us. Here, at the Sports Park, this wood of life stands quiet, untouched by the breeze that sweeps along the coast. The gnarled brown trunks wear signs in stencilled letters. “All that I know most surely about morality and obligations, I owe to football,” says Albert Camus. “You are braver than you believe. Stronger than you seem, and smarter than you think,” says Winnie the Pooh. These are the signs of a community that knows the true value of a story. The big guns are here. Shakespeare, Tennyson, but one in particular catches my eye. 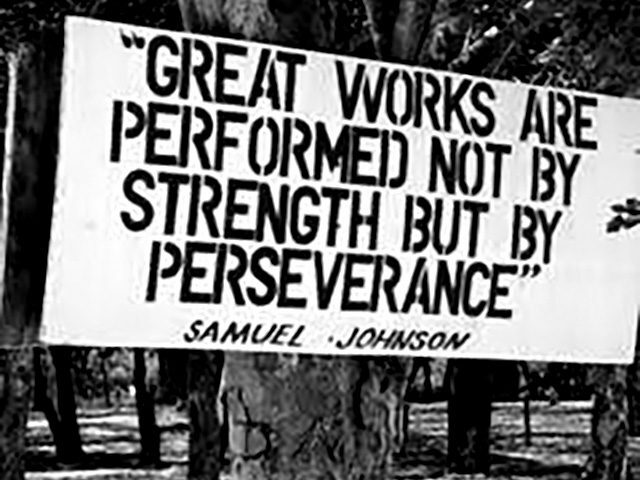 “Great works are performed not by strength but by perseverance,” says Samuel Johnson, booming out from a tree at the back. It feels like that one was nailed up for me, a timely reminder that stories don’t write themselves. I stand in the shade and silently assure Mr Johnson that I’m taking more home than just a rucksack of freshly-signed books. I’ve spent three days soaked in the language and landscape of Treasure Beach and it feels like a restorative swim. I promise Samuel Johnson that next time I’m here, I’ll be carrying a book of my own. “People, you tell me,” says Kwame Dawes from the stage, and it sounds like he’s found our anthem. It seems to me that the success of Calabash – and if success can be measured by the proportion of festival-goers dancing freestyle to a Don Dummond tribute session at 3pm on a Sunday afternoon, then this one was most certainly a triumph – is in no small part due to the exceptional passion of its audience for a well-told story and the organisers’ deep understanding of that. This crowd could dance all day to the ska offbeat of ‘Simmer Down’, just like it’s spent the past three days fuelled by storytelling. That’s what I’ve learned from my second visit to Jamaica. If you can listen to a story, you belong at Calabash. If you can tell a good story, you belong there too. Stefanie Seddon is a UK-based New Zealander writing short fiction and working on her debut novel. Her short stories have won the Bristol Short Story Prize and the Commonwealth Short Story Prize (UK and Canada region) and been published by Granta, the Bristol Prize Anthology, the Mechanics Institute Review and Schweizer Monat. 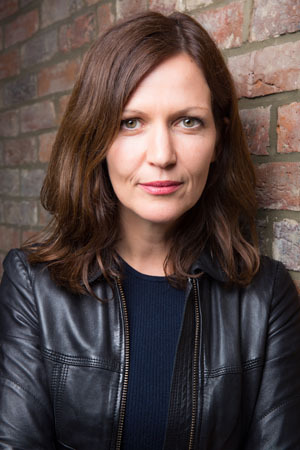 Stefanie is a graduate of the MA Creative Writing programme at Birkbeck, University of London.